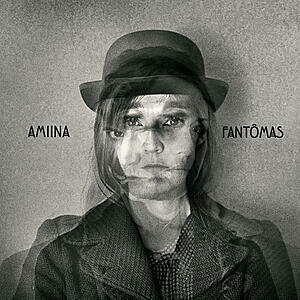 amiina is a band based in Reykjavík Iceland. 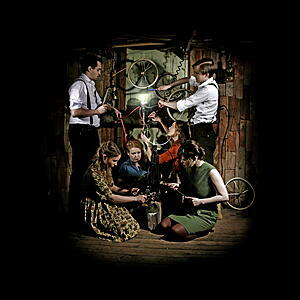 At present the band counts six people - Edda Rún Ólafsdóttir, Hildur Ársælsdóttir, María Huld Markan Sigfúsdóttir, Sólrún Sumarliðadóttir, Magnús Trygvason Eliassen and Guðmundur Vignir Karlsson (aka Kippi Kaninus). The group's origins go back to the late 1990s, when four girls studying string instruments at the Reykjavík College of Music formed a string quartet. The group started out playing classical music, but increasingly moved on to play all sorts of music with various bands in Reykjavík. In 1999 the quartet joined Icelandic band Sigur Rós on-stage. The collaboration has continued ever since, with amiina contributing strings to Sigur Rós’ music on tour and in the recording studio on the albums ( ) , Takk..